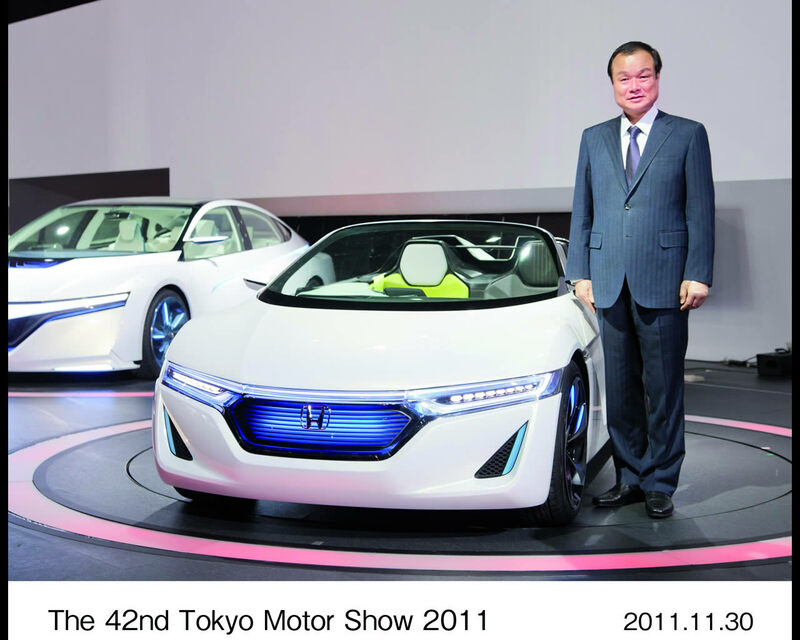 TOKYO, Japan, November 30, 2011 – Honda Motor Co., Ltd. exhibits the world premiere of the EV-STER, the next-generation electric small sports concept model, at the 42nd Tokyo Motor Show 2011, which took place at Tokyo Big Sight. 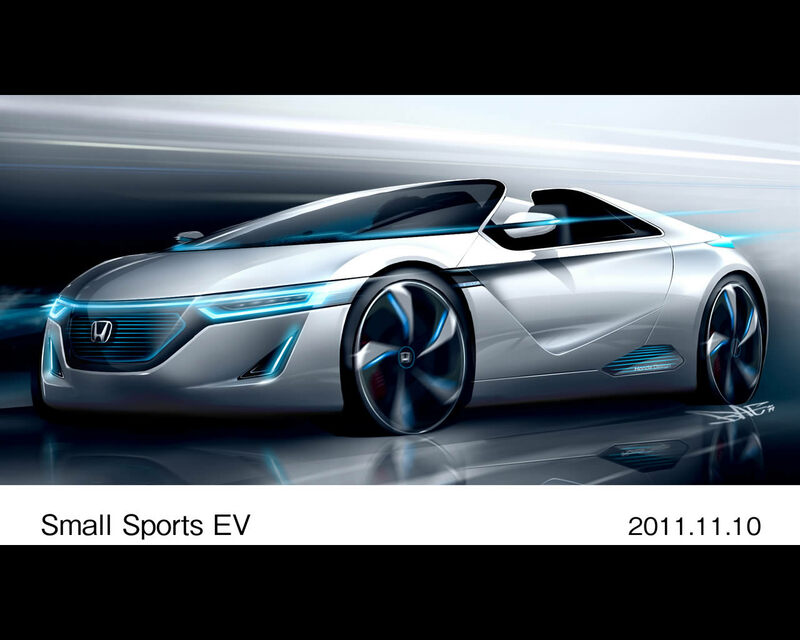 Featuring a dynamic and innovative styling design and excellent environmental performance, the Honda EV-STER, an electric rear-wheel-drive two-seater convertible sports car, proposes a new way to enjoy a sports type model which is unique to the electromotive mobility. 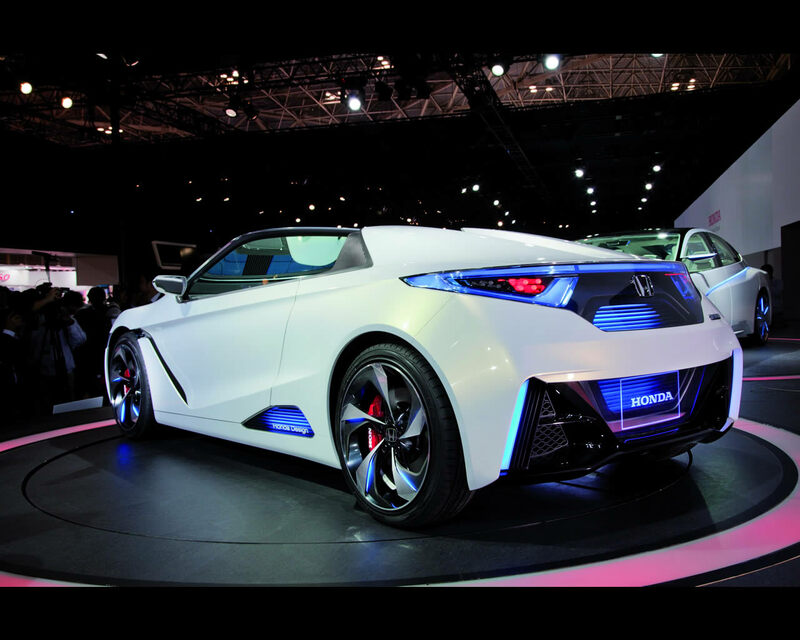 The adoption of carbon materials made it possible to reduce the vehicle weight contributing to the vehicle’s high driving performance and range of approximately 160km. The easy-to-operate twin-lever steering was adopted for the thorough pursuit of the joy of driving. 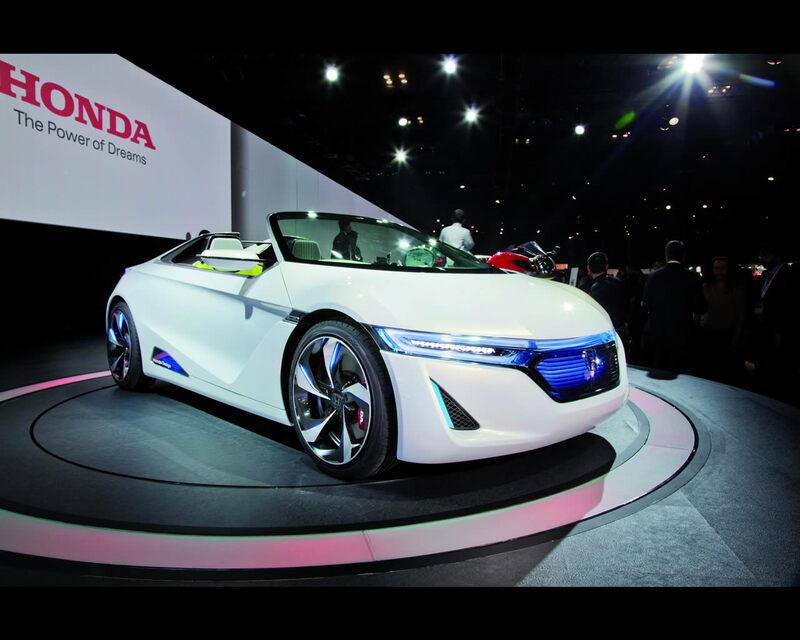 Moreover, the new concept model enables the driver to make his/her own adjustments to some vehicle characteristics such as motor output and suspension settings, to embody the joy of maneuvering to the fullest extent.